Last night the decision was announced at Writers’ Guild of Great Britain’s award for the Best Play for Young Audiences. Mike Kenny’s piece, The Vultures’ Song, specially written for the Blahs, was one of three plays shortlisted. Although he didn’t win on the evening, we are delighted that he was nominated. We send our warmest congratulations to Tim Crouch who took the top spot with Beginners. 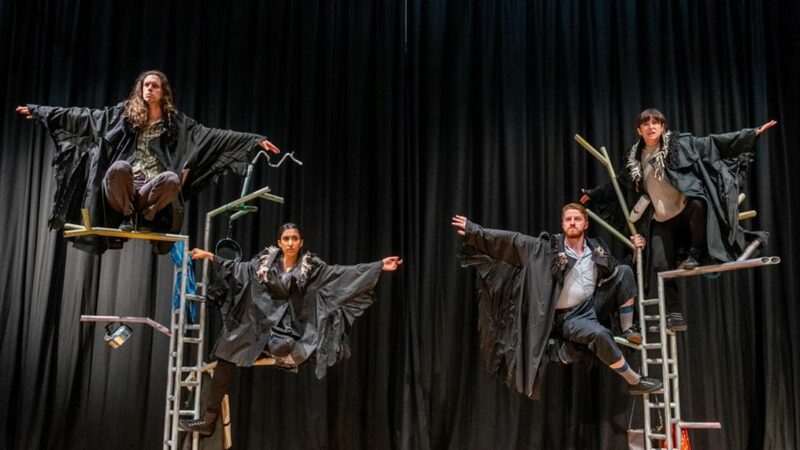 The Vultures’ Song is a bold, playful and resonant piece, inspired by the Partition of India and developed with the Blahs and Yellowcat Theatre in Delhi over a period of three years. This award nomination follows overwhelmingly positive responses from audiences in schools and community settings and comes at a time when we are busy booking a new tour into theatres for the Autumn. Watch this space for further details!